We’re All Together in the Sisterhood of Motherhood! This post is sponsored by Similac. I was compensated for this post but all opinions are my own. Sometimes motherhood feels a little too much like high school, don’t you think? It seems like there’s a “clique” for every type of parenting. Breast feeding versus formula feeding. Attachment parenting versus free-range parenting. Cloth versus diapers. The list goes on. It doesn’t end after the baby years, either. 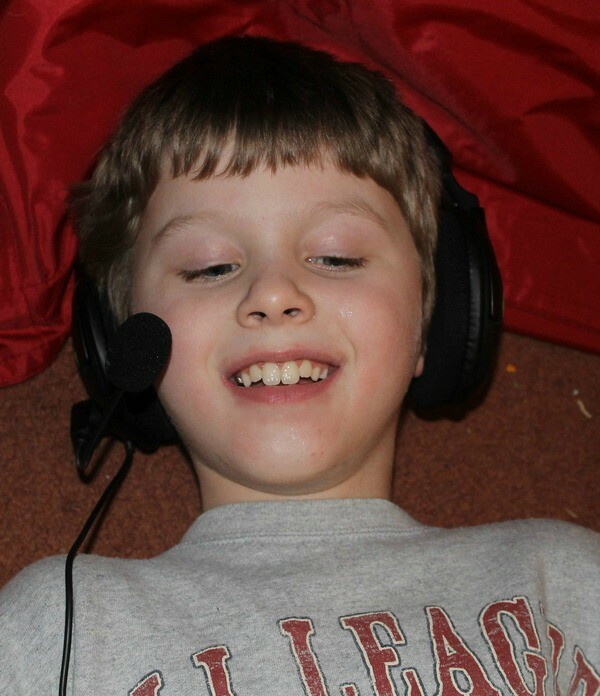 In the last 9 years of my son’s life, I’ve been mom-shamed for more things than I can count. I opted to formula feed for personal and medical reasons. Wow, the things people said to me! I’m still shocked! I didn’t co-sleep when he was a baby and again I was called horrible names. When I DID start co-sleeping with my terrified 3-year-old who thought monsters lived in his room, I was wrong then too. I spoil my son. I shouldn’t let him play certain video games. I should “force” him to eat more of a variety of foods. I’m too over-protective because I don’t let him walk home from the bus stop. I could do this all day, but you don’t need to hear it. You have your own list. Pretty much every mom has been mom-shamed at some point. Apparently we’re ALL doing EVERYTHING wrong according to someone out there. It’s a miracle our species has survived, if we’re all such bad parents. Somehow, though, our species HAS survived! A generation of parents opting not to co-sleep didn’t cause an extinction-level event! All those potty training errors our parents made with us didn’t turn us into sociopaths. Seriously, who came up with that one? As if we don’t have enough stress, now we all worry that if little Johnny doesn’t get the right pee-pee throne he’ll become the next Ted Bundy? Warped! You know WHY we survived? Not because we all mom-shamed each other into being better parents. Not at all. We survived as a species because we ultimately come to one very important conclusion: at the end of the day, we’re all in this together. Don’t believe me? Check out this awesome video, The Mother ‘Hood. Make sure you watch it through to the very end! Didn’t you get chills when the baby stroller started rolling down the hill? I totally got teary-eyed at the end! I’m very emotional that way. But do you see what I’m saying? Despite all their differences, everyone came together for one very important goal. To me, mom-shaming is a creepy practice. When others put down my parenting style and insist that their way is the only right way, I assume that they’re either suffering from narcissistic personality disorder or that they’re not confident of their own choices. I’m confident of the choices I make. When I’m not, I ask for advice. I also don’t share advice unless asked. Plain and simple. Rather than tearing each other down for our differences, isn’t it time we support each other for our common goal? We all want to raise our children to be the best versions of themselves possible. We want them to grow up to be happy and healthy adults. To live their dreams, find amazing jobs and true love. Make millions and buy us castles. Right? Oh come on, like you never asked your kid to sign a contract promising to buy you a castle with his first millions! My mom did it to my brother! Alas, he’s now a lawyer and managed to nullify the contract on the grounds that he was underage when he signed it. The point is, even though we have different ways of parenting, our ultimate goal is really the same. We ALL have common ground. We’re all members of the sisterhood of motherhood. Isn’t it time we started acting like it? Let’s all step down from our mom-shaming soapboxes and stand together to create a better, more supportive world for our children. Well said. We are all on our own path and there is no right or wrong way to do it. We all have to figure it out on our own and support each other. Amen! It takes all different kinds of moms to make all different kinds of kids, and it is surely not our place to judge who is “right.” Not for nothing, but when you compare the supposed parenting taboos to the fact that you’re modeling shaming as acceptable, I am unsure how someone would think not co-sleeping could be more harmful than the behavior they’re participating in? What a great video! Pretty funny at first, but the message it sends is really important. Awesome video! I agree, there’s a fine line between sharing what works for you, and tearing down another mom because she does things differently than you. I do believe we need to help one another address serious parenting issues though. Not all of us were raised with the ideal mother figure role model, and mentoring one another can be great! Just as long as it’s not judgmental, of course! We are all unique and different in every area, not just our parenting. I don’t get why people expect us all to mommy the same way! We listen to our own intuitions and do our best 🙂 That’s all we should do! I completely agree! We are all unique, and we all have our own way of doing things. That’s what makes the world such an interesting place! My wife and I say the same thing.. we have seen the cliques come and go, and think are we in Hight School again.. I had my daughter in the 90s and the only mom shaming back then was from MY mom or my mother in law. I don’t know if I could handle the way other moms are these days, especially with the internet! We ARE all in this together and it’s time that everyone understood that! I find it odd too. Honestly, as a single mom, I don’t even have the time to pay attention to what every other mom is doing, let alone waste precious energy judging them for not doing it the way I do things. Every parent has different approach. Every child’s need is different. I do not think one should be critical of the other. I do not understand why in today’s society people are doing this. After all, its your child not theirs. Bingo to that last sentence! That is the bottom line, as far as I’m concerned! Parenting is hard and it’s even harder when others are constantly judging you. Having a group to support you would be a great idea. You are so spot on talking about moms as having cliques. Sometimes I feel like drop off at school is like a Mean Girls episode, when we should all be supporting each other and giving high fives for surviving yet another day. So thrilled to have my sister join the mom club this fall! I think fellow mothers are THE WORST for judging each other. I hate the cliques and everyone should be so more supportive of each other. This is an amazing post indeed for all mothers. It is so important for us to all respect each others choices. No one is ever better than someone else. Thanks for sharing and I love the video. I love this! 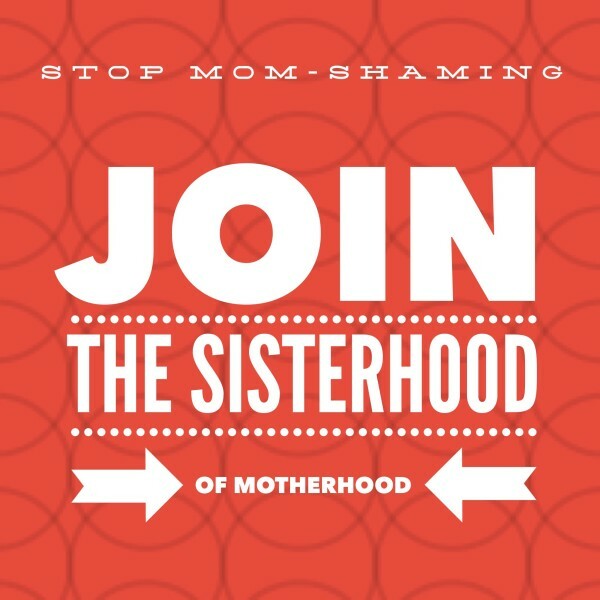 Motherhood is hard enough without all the shaming and judging. We are all just trying to be the best we can and want our kids to be safe and healthy! I can’t do organic everything but I try and that’s what matters! I wish all mothers would just ban together! What a great post! I’m not a Mom so I can’t really relate but I do agree that not everyone’s parenting style will be the same but that’s no reason to judge someone else! Everyone has his and her own parenting style. All of us are trying our best to be the best moms for our children. We should all embrace the sisterhood of motherhood. I think parenting is an individual decision. How can it not be? We have different personalities, thoughts, raisings, parents, experiences…so of course we parent in the way that we think best!